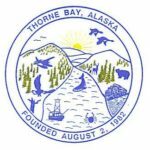 Applications for water and sewer service are available online by downloading the applications online, or at City Hall, 120 Freeman Drive, Thorne Bay, AK 99919. For more information, please review the Water and Wastewater Operator Certification and Training Regulation (18 AAC 74). Water Lake, north of Thorne Bay, supplies water, which is treated and stored in a tank before piped distribution. The gravity sewage system includes secondary treatment before discharge into the Bay. Approximately 75% of households are connected to the piped systems and are fully plumbed. Residents on the south side of the community use rain catchment, streams or springs, and a central water source is being designed for this area. Funds have not been secured to construct it. The City provides refuse collection services, a regional baler, a recycling facility and landfill, and participates in annual hazardous waste disposal events. Construction is underway to connect Thorne Bay and Kasaan to the Black Bear Lake Hydroelectric facility. 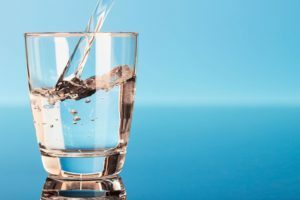 PLEASE REMEMBER THE MINIMUM CHARGE FOR TEMPORARY WATER/SEWER DISCONNECTION IS $30.00 (plus tax). REMINDER!!! All unimproved lots or discontinued services on the water line will be charged a monthly service availability fee, according to the current rate schedule established by Resolution and incorporated in this chapter by reference, to help offset the cost of operating and maintaining the water system. No unimproved lots or discontinued services will be allowed to connect to the system until all fees are paid. This amount may include interest and penalties on delinquent accounts. In the event of a change of ownership in the property, it will be the responsibility of the customer to disclose any amount owed to the new owner. 13.52.010 TEMPORARY DISCONTINUANCE OF SERVICE. For Water/Sewer service (disconnect, reconnect, or new), please call City Hall at (907) 828-3380.